Following a batch of posters showing off the resistance in District 13 and another batch highlighting the rebel warriors of the revolution against The Capitol, it's finally time for our Mockingjay leader to take the spotlight. Jennifer Lawrence gets her own poster for The Hunger Games: Mockingjay - Part I, but her face is nowhere to be seen. Taking a cue from what little footage of Katniss we see in the teaser trailer, the tagline simply uses her proclamation of loyalty to fight with the rebels when she arrives in the lost District. This could be seen as a statement of the former tribute turning her back on The Capitol completely, or she could just be facing her followers. Either way, it's another cool poster to hype the fall release. Look! 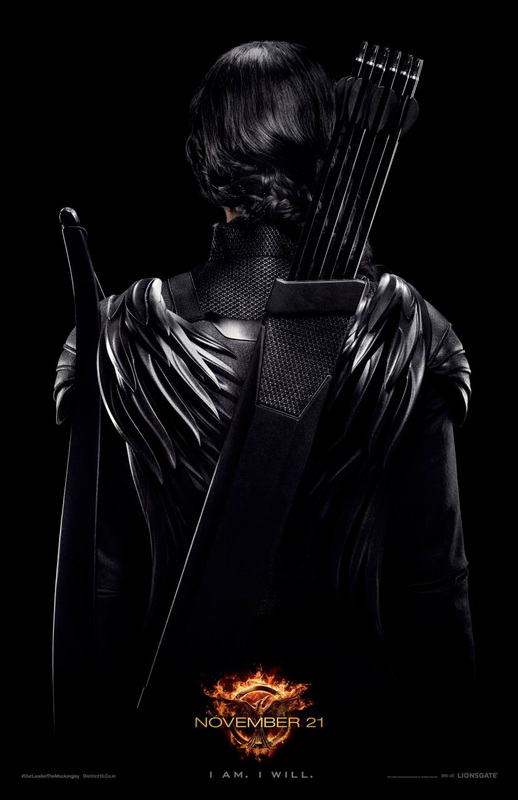 If you haven't already, watch the teaser trailer for The Hunger Games: Mockingjay - Part I right here. 7-8 arrows is woefully unprepared.